Weather forecasters say the early emergence of a tropical storm this year does not mean Eastern Canada should brace for a particularly active hurricane season. Bob Robichaud of the Canadian Hurricane Centre in Halifax says forecasters are expecting an average number of hurricanes this year, despite the formation of tropical storm Alberto last weekend. 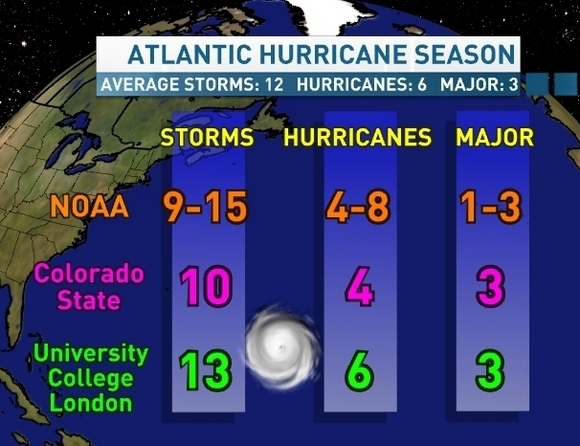 Hurricane season generally runs from 01 June to 30 November. U.S. forecasters are predicting between nine to 15 named storms this year, with one to three expected to become major hurricanes.